SealMaster® CrackPro Crack filling and crack sealing equipment sets the industry standard for oil-jacketed melter applicators for hot rubberized asphalt crack sealing materials. 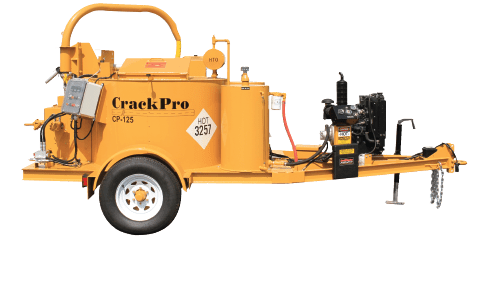 CrackPro oil-jacketed melter applicators for hot pour crack filling are available in several sizes with many options to choose from. 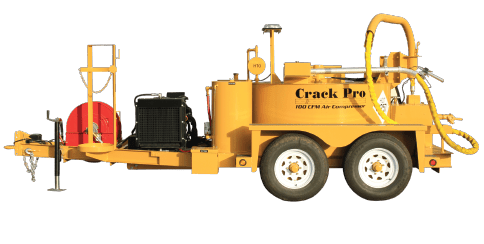 SealMaster CrackPro oil-jacketed melter applicators are designed for melting and applying hot rubberized asphalt crack sealants for filling and sealing cracks in asphalt and concrete pavement surfaces. 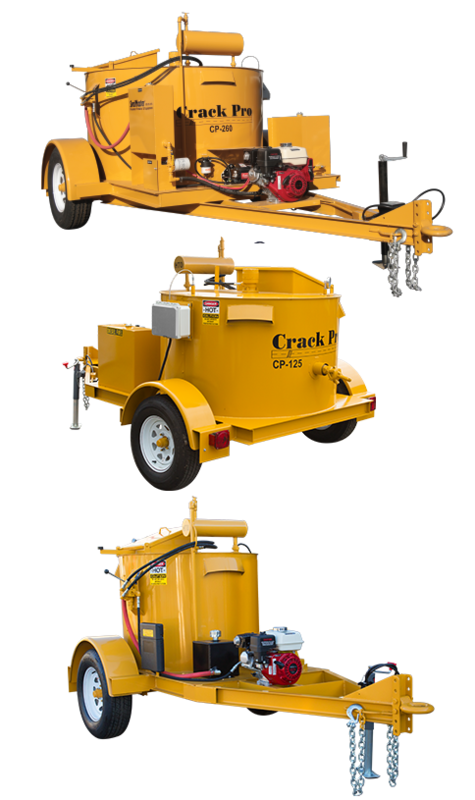 CrackPro units are available as gravity flow units and melter applicators with pump sytems and heated hose. 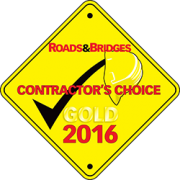 Oil-Jacketed Melter/Applicators for Hot Rubberized Asphalt Crack Filling and Sealing Materials. The CP-260 and CP-125 Feature ALL DIESEL POWER! Empty Weight 3,700 lbs. 5,000 lbs. Empty Weight with conveyor 4,200 lbs. 5,500 lbs.